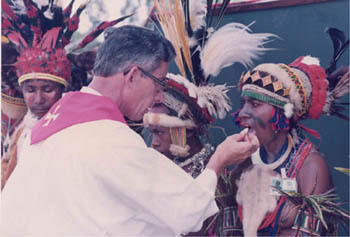 In a Mass John Paul II celebrated in Papua New Guinea (May 8, 1984), semi-naked natives of both sexes received Holy Communion. 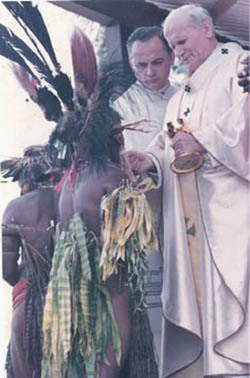 Above top, two JPII gives the Host to two tribesmen. Above bottom, an auxiliary priest gives Communion to bare-breasted women.